WHEN SATURDAY comes the Six Nations will throw up an interesting anomaly. In one day we will get to see several fit and firing candidates for the British and Irish Lions tour, facing off, with the gloves off. It could be argued that a strong performance this weekend could propel a player to the forefront of Warren Gatland’s mind, like an Iranian astro-monkey fired into the stratosphere. Win a Six Nations individual match up, and one of these players could be that lucky cosmonaut. 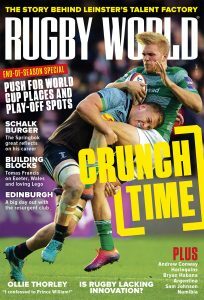 The Welshman at the back of the scrum will collide with many people’s Lions captain elect, Jamie Heaslip, this Saturday. Faletau has been digging and grinding with the Newport Gwent Dragons, turning in brave performances against Welsh rivals and nobly hustling for the sake of his struggling province. Now he gets a run on a lush paddock, with thoroughbred support and a baying crowd at his back. This clash is one fraught with uncertainties. Faletau can skittle men over with ease and gallop like a thoroughbred, but it could be Heaslip’s all-round, classy game could catch Gatland’s discerning eye. Often these match-ups come down to who stands out more, rather than who is doing the dirty business. Opening day at the Millennium Stadium is a place you want to stand out. These two are both dripping with elegance and class. Halfpenny has been one of the European game’s constants so far this season, with his ability to kick from the tee complementing his smooth running, line-breaks, and bravery in defence, which saw him helped from the field twice in the last 12 months, after making last-ditch tackles. Airborne, Kearney is almost baletic when taking the high-ball, but he has a rougher edge and is famed for his rapier-like line-breaks. Will the elegance of Kearney trump the guile of Halfpenny? We shall soon find out. 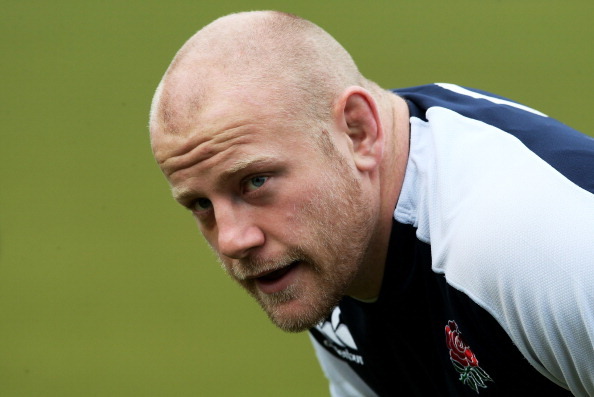 Although more fancied than the Queen-in-waiting’s sister, Dan Cole has to prove his credential this Six Nations if he is to bat back away competition for the Lions’ No 3 jersey, from 2009’s incumbent Adam Jones. This means he has to scrummage with eye-watering force this Saturday. He comes up against Ryan Grant on the Twickenham turf. Grant has quickly risen to prominence for Scotland and although few in Europe know who he is at present, the loose head is now considered a sure starter and team leader by the Scottish management. This is not a straightforward ask for either man at the set piece. Both are workaholics in the loose and both post impressive tackling and scavenging statistics, but it is after that, at the set-piece, that they come under most scrutiny. This will be an intense examination. The Ash Splash versus the Flying Dutchman, it sounds like the kind of movie you catch on the Sci-Fi Channel at 3:00am, but the England right-wing meeting the Scots’ left-wing at pace will be a fascinating battle of wills. Visser is strong and tall, with a frightening drive of the legs through a tackle. Ashton has a hunter-gatherer instinct stronger than Neanderthal Man. Both will ask questions of each others defences, but both are confident and – and dare we say it – selfish enough to attack the other at every given opportunity. The forwards’ tussling will decide the shape of the game but perhaps for a fleeting moment, when either man gets the ball, the crowd will rise to their feet. Perhaps Gatland included.